Stylish and practical, this beautifully made box is both an elegant piece of décor. 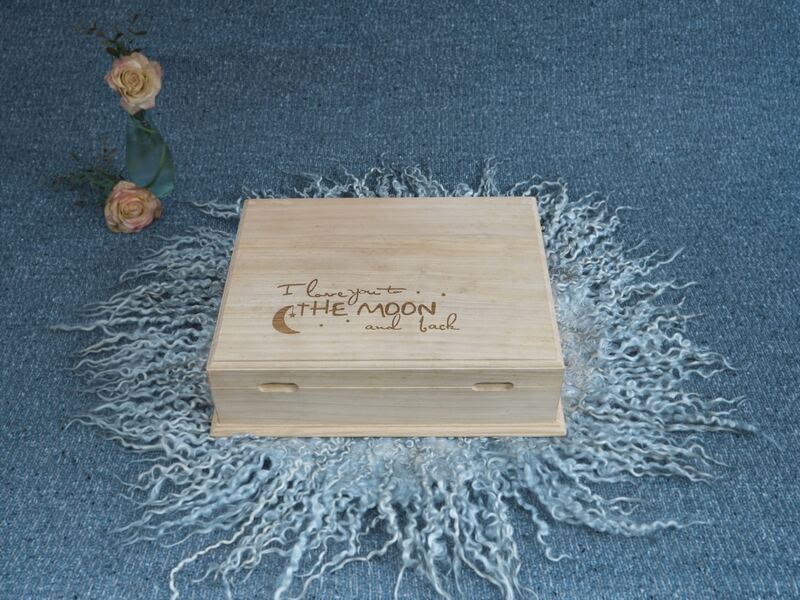 Each keepsake box is made from pine wood and has an engraving on the top. The box comes in 2 sizes to store either a 11x8 in or a 9x6in prints. Each box contains 10 prints that are mounted on a 5mm board. The box is filled with wooden shavings the protect the prints from moisture. Made from eco friendly and sustainable pine wood these boxes have magnets in their lids to secure them. These boxes are handmade and have a natural unpolished wooden surface. Each box comes with an 8 each easel to display the photographs. The decorative box will store your precious memories for a lifetime.